This beautifully illustrated personalized book celebrates the wonder and magic of the arrival of a newborn baby as the news of the birth travels around the forest. Welcome To The World! 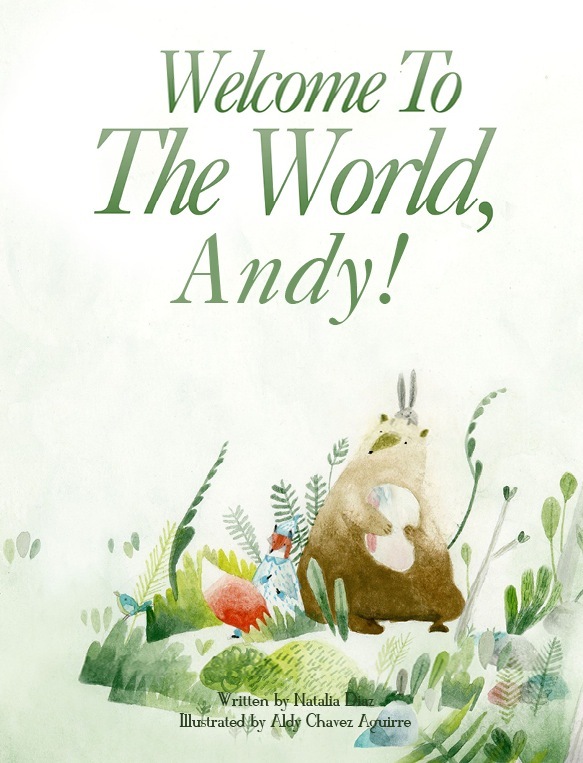 is an adorable personalized book that celebrates the great joy of the arrival of a new born baby. This book is beautifully illustrated by Aldy Chavez Aguirre and written by internationally published writer Maria Natalia Mercedes Diaz. Each 8 3/8" x 10 3/4" professionally bound hardcover book is personalized throughout the text and illustrations which include the child's name, birth length & birth weight, making it a unique gift. It is a wonderful keepsake perfect for acknowledging that special little child in our life and showing them just how loved they are! As an added personal touch, this book contains a printed dedication from the sender with the child's birth date. This 24 page storybook is a perfect gift for both boys and girls ages 0-10.